Discussion in 'Alienware 17 and M17x' started by D4ddy, Apr 13, 2017. Hello all here at NBR, I already posted this on another forum but since there are so much M17X R4 enthusiasts here, I felt like it was a good idea to share that with such a great community. OK so it's a long story, I'll try to make it short but I want to give as much informations as possible so it can help anyone interested about such project. Once again, thanks to svl7 you can fix this using vbios with UEFI driver for your GPU: https://www.techinferno.com/index.p...uefi-fast-boot-secure-boot-gpu-issues-solved/ This is not what I did, I just enabled integrated graphics again (it's UEFI compliant), so I can disable Load legacy option. Then I could put the 1070 in, and boot successfully. With this option enabled, I had 8 beeps "GPU not recognized" error at boot, stuck with no POST like a loser. I must say I contacted him, and at one point I had no answer, so I contacted another seller. But he explained me later it was because for some reason he didn't received notification from the forum so he didn't knew my message, and missed the sale. But even he was not the seller, he gave me some advices which were really helpful when I was stuck with 8 beeps no boot problem because of the Legacy mode a few days ago. Thanks a lot man, maybe you missed this sale but I'm sure you'll get lot of others since you're so helpful, thanks again! With my modded heatsink (which is so ugly and crappy I can't even make picture of it for now), I reached 72°C max while benchmarking, which seems to be pretty good temp. You can boot? Well you still have to wait a little until it works, here comes the modded inf! 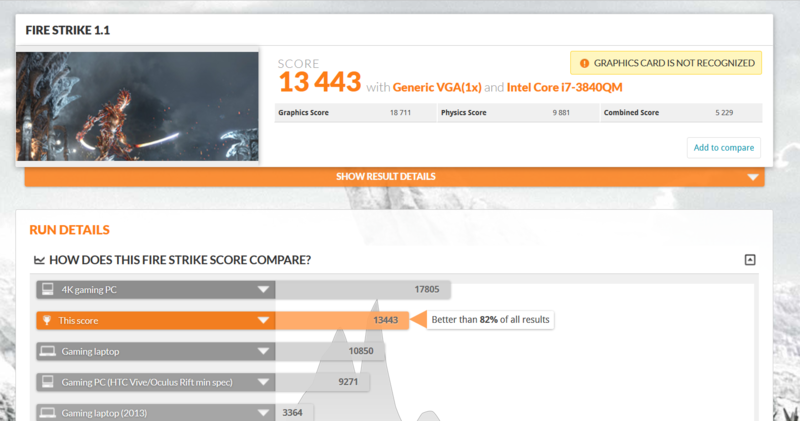 Now, please have a look at this latest Alienware 17 R3 (BGA crap) Firestrike result: http://www.3dmark.com/fs/8941795 Yeah I know, this is serious expensive hardware we have here: a 6820HK CPU and a GTX 1070, such Alienware laptop must cost around 2500$, no? Of course, my poor old laptop cannot beat this beast, this would be crazy what do you think? I can't go higher on bench since it seems I'm bottlenecked by the 3840QM CPU and the 240W PSU. When benchmarking or playing, temps are around 69°c up to 72°c, which seems pretty good (51°c right now writing the thread). I have a 3940XM coming on the way, and I'll work on a dual PSU mod because I noticed I still can't reach out max GPU core frequency when benchmarking, it won't go above 1700 MHz because of power limit altough it reaches up to 2000 MHz when playing (because it has lower GPU load when playing than benchmarking I think). Target is to reach FS 14k score, do you bet a M17XR4 can do that? To finish, before I can go enjoy playing GTA 5 at maxxed out settings, here are some links which were very useful, and can help if you want to make such mods. 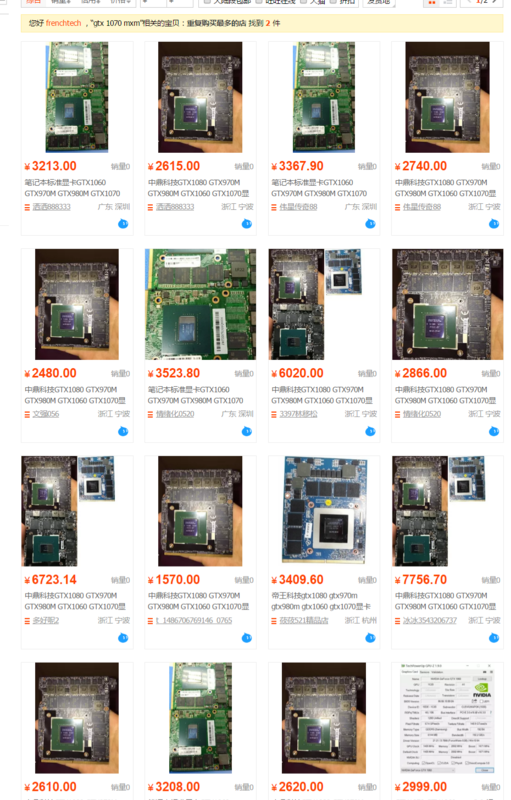 I hope sharing all those informations helped M17X R4 owners to keep faith in this good old laptop. I'm pretty sure it can also handle a GTX 1080 by the way, if someone is willing to try (I can't be the guinea pig for the next step altough I'd like to but all my hardware budget has already been spent in that project) it would be nice. Handale30, Darker01, Maleko48 and 12 others like this. + rep. Socket hardware all the way BGA must die!! No I didn't have stability problems. Did you use DDU? About the screen I was using a 120 Hz one, it was working fine. Also you need a 330W PSU to get full performance of the GPU. OK glad it helped. Yes you're hitting GPU power limit because of PSU bottleneck. You can see GPU load is 63% max, while GPU power is at 43W max altough it should reach above 110W for the MSI GTX 1070.